Sandbanks Summer Village is offering a 5% discount and 1 FREE bottle of County wine. One of Ontario’s largest and finest camping and RV resorts, designed to provide fun family getaways. A five star rated park with sites ranging from unserviced to full service premium waterfront sites. Giant sand dunes and golden beaches form two of the largest freshwater baymouth sandbars in the world here, on the shores of Lake Ontario. Enjoy a peaceful, private setting on 97 acres of fields & woods overlooking natural marshlands on Big Island. Blossom Ridge is a 4 bedroom farmhouse decorated with country charm offering a private in-ground swimming pool, a 8-person hot tub, and an enclosed play area for children. Fiddlehead Manor’s East Wing is the perfect place to enjoy the beauty of the county. Our 160 year old manor home sits atop a hill overlooking our 128 acres of farm and forest as well as the elegantly calm Fish Lake. Our farm is a working organic garden and mixed livestock operation with an onsite farm store opening spring 2015. Charming, updated Inn on the shores of Lake Ontario in the heart of wine country. Fireplaces, free WiFi, cable TV, BBQs, gazebo, play area, fire pit, tree-lined waterfront lawn overlooking Sandbanks. Overlooking Picton Bay. Enjoy the beautiful sunset from your room. Just minutes to the Sandbanks Beach, and to Lake on the Mountain. New owners, under renovations and opening in the spring of 2017, please call for more info. Nestled in the charming Bay of Quinte district on the doorstep of Prince Edward County, our Travelodge Hotel Belleville will have you feeling refreshed. 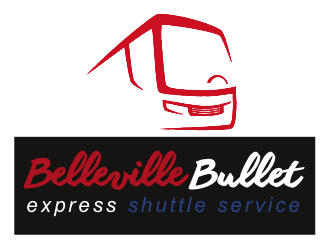 We offer a great location on Highways 2 and 62 to help you get around the area with ease. Our hotel also provides easy access to Highway 401 and popular area attractions, wineries, and golf courses. There is a block of rooms reserved for festival goers at $125.00 per night plus tax. Please call the hotel direct for reservations. Free shuttle offered upon request when booking at the Travelodge, Advance notice required. Newly renovated waterfront cabins 1/2 km from the Black River Cheese Company. All new interiors and decks. Canoes, kayaks, bikes and a pool available for use. All cabins have heating and A/C. Located 10 minutes form Sandbanks our 4 cottages on East Lake all have beautiful views. Great for families or big groups travelling together. Breakaway Guest Suite is situated 5 mins, North of Wellington & 15 mins West of Picton. Set on 5 acres this bright, spacious suite consists of kitchenette with walk out to screen-room and outside garden, living room, 2 bedrooms both with Queen beds & bathroom. Situated in the hearty of Wine Country you have your own private entrance and outside space with BBQ. Lock up for bikes available. For pricing details visit our website. Breakfast items are provided but guests cater to themselves in the full kitchen. Located in a Century home in Picton’s historic Barley District. Minimum two night stay. Includes separate entrance, 3 piece private bathroom. Kitchen area, satellite TV, Wi-Fi, parking, A/C and more. A fully self contained, one bedroom apartment which can sleep up to four people (2 on a sofa bed) is fully equipped and ready to make your holiday memories. Take breakfast on your own deck and watch the sunrise, stroll into Picton for some shopping and a bite to eat at lunchtime, then relax in the evening in our secluded back garden with a glass of wine and a little music. Cozy 4-room suite on the 2nd floor of an artist’s century home is available for 2 people for a minimum of 2 nights. The Nest is a cozy waterfront junior suite overlooking Picton Harbour. Large and refined guest suites in Wellington, set in the heart of the County’s wine country. Close to beaches and two lakes, come and stretch out in comfort and privacy in our spacious and contemporary suites—featuring luxurious king-sized beds, spacious stone-tiled baths, and well-stocked kitchenette. Your starting point to explore beautiful Prince Edward County. Three private rooms all newly renovated are available in the former Marysburgh Public School. Choose from Classroom 1, Classroom 2 or the public library. Two-night minimum stay. Three bedroom apartment suite on picturesque family farm, children, dogs on leash welcome. Private beach house with 500 feet of sand beach, tennis court, fire pit, dining terrace and much more. Beach house comfortably accommodates five. The Tree House also available. Choose from numerous vacation rental properties throughout beautiful Prince Edward County. Rustic to luxurious to pet-friendly options available. Fully furnished and equipped. Ideal for vacations, get-togethers, romantic getaways, short-term lodging. 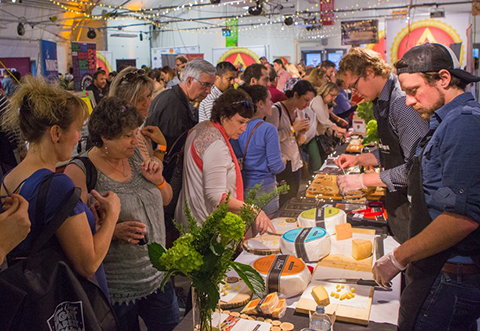 Visit our website and start planning your Great Canadian Cheese Festival getaway now. Minimum 2-night stay. Vacation rentals of cottages and executive vacation homes throughout Prince Edward County, wine tours, group and corporate event planning and much more. 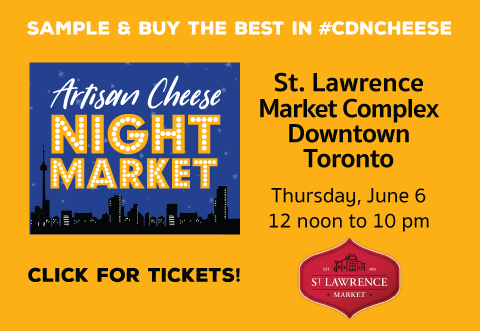 If you are planning on attending The Great Canadian Cheese Festival, give Sandbanks Vacations & Tours a call and let us plan your whole weekend for you. Located in beautiful Prinyer’s Cove, just a few minutes drive east of Lake on the Mountain, this cottage is a fully winterized two bedroom home. Good swimming and a dock from which to launch your boat, canoe or kayak. Ideal setting for the naturalist with lots of waterfowl and plenty of opportunities for birding. The Cider Company and Waupoos Winery are all on the same peninsula. The Wexford House c. 1883, a stately two story brick home, is located in the heart of Prince Edward County where it dominates the heritage streetscape of Picton.